There’s some top stuff happening there. DINGLE INTERNATIONAL FILM Festival (IFF) has been voted one of the Top 25 ‘can’t miss’ animation events in the world. Animation Magazine has placed the Kerry festival on the list alongside some of the most highly-regarded events from around the world, including the Annecy International Animated Film Festival in France and Comic-Con International in San Diego. Animation Magazine said Dingle IFF is “a great networking opportunity for professionals and animation students to mingle with the cream of the international broadcasters, publishers, animation companies and talent from around the world”. Animation Dingle has been part of Dingle IFF for the last four years. It is home to The Murakami Award, which was received by Tomm Moore this year, director of Song of The Sea. The festival received contributions from outlets such as Disney, Nickelodeon, CBBC, RTÉ, Penguin and Walker Books as part of its animation conference this year. Maurice Galway, CEO of Dingle IFF, said the team behind the festival is “delighted to be among such established names in the business”. “I know this has come out of the exceptional programme we put together with our partners JAM Media this year in Dingle. To know Animation Magazine and its readers are so aware of the festival is very exciting and very satisfying to realise we are having such a reach worldwide. Animation Magazine compiled the list as part of its 250th edition celebrations. 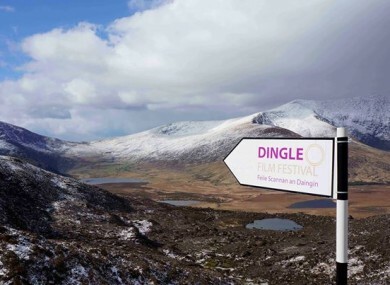 The next Dingle IFF will take place in March 2016. Email “Here's why animation fans are being told to go to Dingle ”. Feedback on “Here's why animation fans are being told to go to Dingle ”.